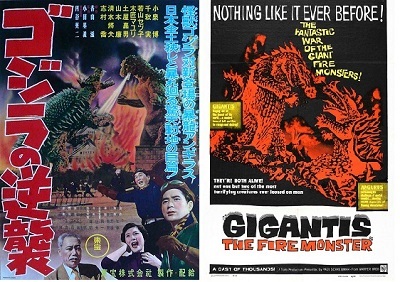 Brian and Nate discuss the first Godzilla sequel, the last black and white Godzilla movie, and the first monster fight. While it’s not meant to be an epic film, it does have some strengths and significance. For our related topic, we discuss the Japanese Self Defense Forces (JSDF) and their role in the Godzilla franchise. This entry was posted in Podcast and tagged 4k, 4k video, Article 9, Brian Scherschel, films, Fish Ladder Park, Godzilla, Godzilla Raids Again, Gojira, Grand Rapids, Grand River, gray zone, history, international relations, Japan, Japanese Self Defense Forces, JSDF, kaiju, Kaijuvision, Kaijuvision Radio, military history, movies, Nathan Marchand, national defense, national security, Peace Constitution by Kaijuvision Radio. Bookmark the permalink.